Today I have another guest appearance on Hey, Scripting Guy!, this time talking about using PowerShell and the existing SCOM SnapIn to audit for SCOM Agents and provide reporting on agent installation successes and failures. Hope you enjoy it! 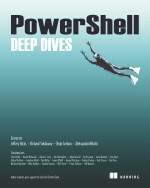 This entry was posted in News, powershell, scripts and tagged Powershell, SCOM, scripting guy. Bookmark the permalink.